As light trickled in through the curtains, I woke from an amazing night’s sleep. Just outside the window, a beautiful sunrise was waiting to be enjoyed, but the warmth of the covers and the calming sound of waves rolling ashore were overwhelming so I sank back into the soft mattress for a few more minutes of blissful rest. 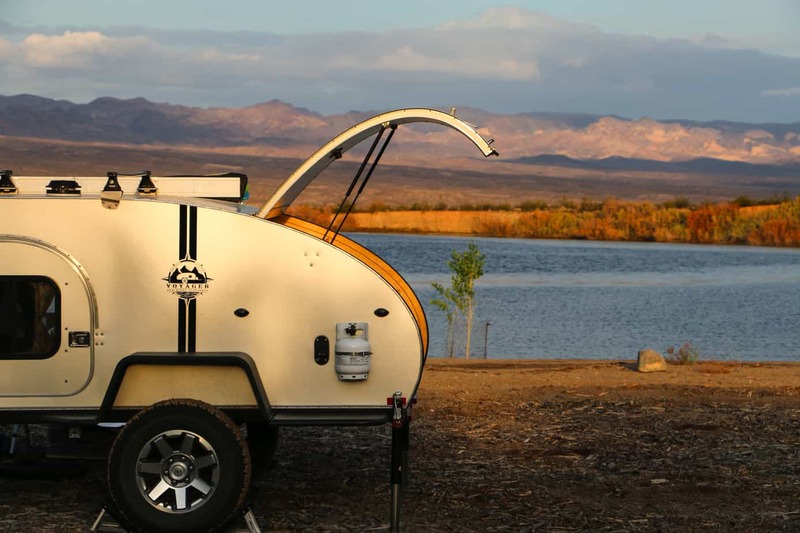 It was day one of our stay along the banks of lake Mohave, and the first trip where our little teardrop truly felt like home. We had settled into a routine, which in the morning began with hot coffee, cold fruit and yogurt, and a healthy dose of nature’s serene beauty. While I turned on the stove to boil water, I couldn’t help but dwell on how enjoyable life as a “glamper” was. There was no more digging through bags and boxes or pulling gear out of the car; no more pitching tents or setting up a table for meal prep. Our clothes were always folded and dry in the drawers, our food stayed fresh in the fridge, and we even had a heater to keep us warm on bitter cold nights. Trailer life was good. 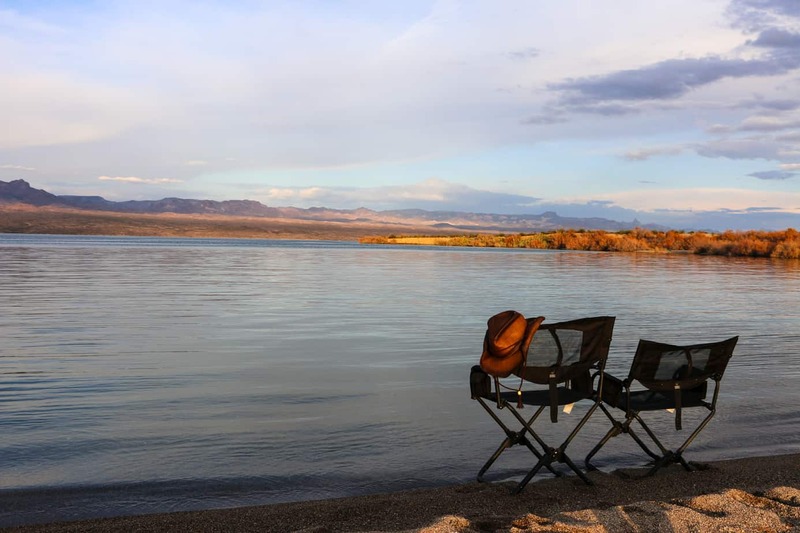 The sweet aroma of caffeinated heaven soon stirred me from these thoughts though, and I sat down in my chair to relax while watching the fish jump for their morning snacks. 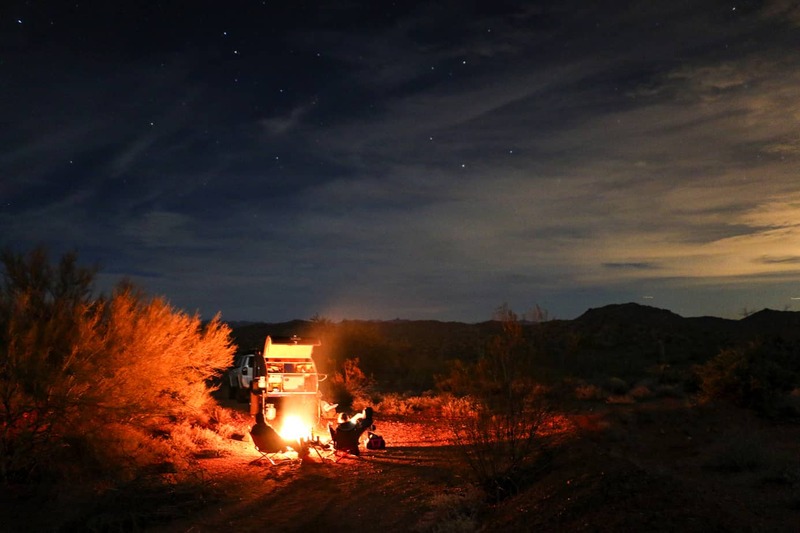 It has been a year and a half since we last checked in with our So-Cal Teardrop project, and since then it has covered thousands of miles across some of the West’s most beautiful landscapes. 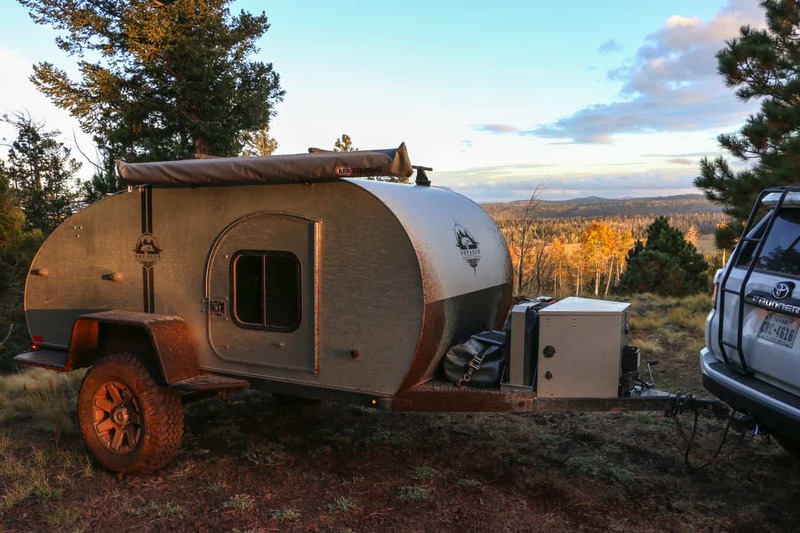 From the Mojave desert to the Texas hill country we put this trailer through its paces to see just how capable and luxurious it was, and what modifications could make it even better. 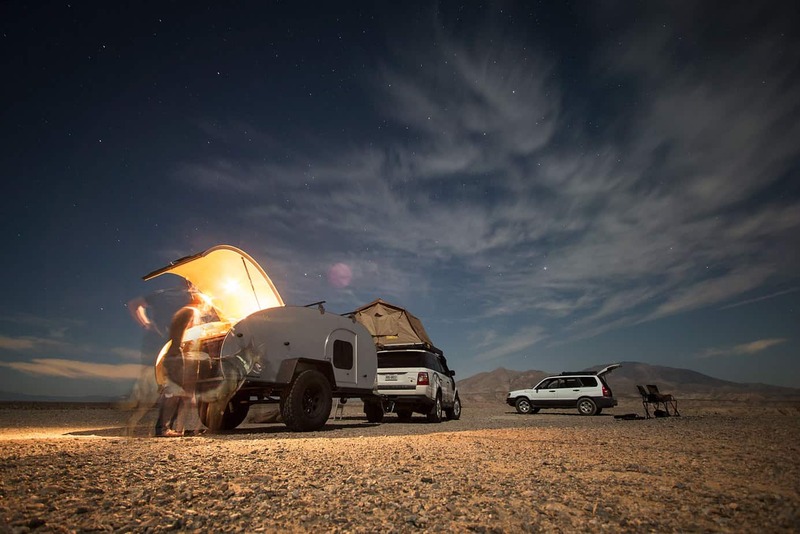 The resulting build became more than just a project, it was our escape to a life on the road, and a place that we called home. 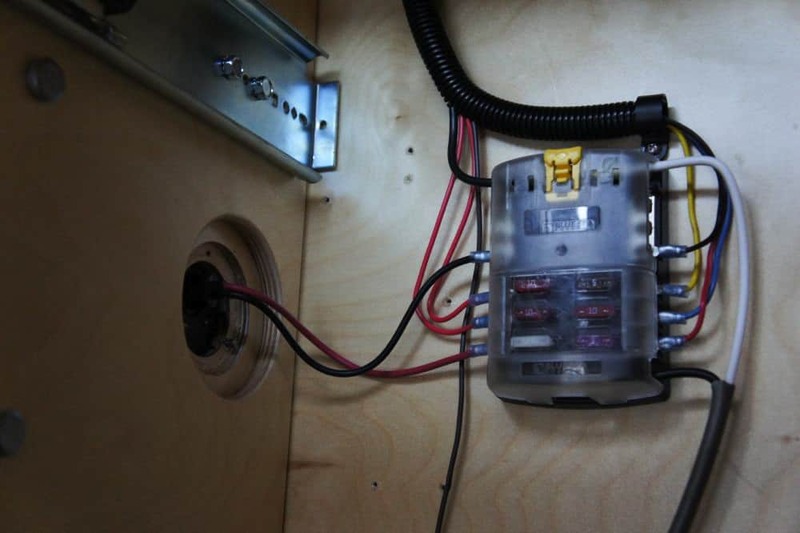 For the original article on this trailer’s interior comfort and features click here. I am a little bit of a perfectionist when it comes to vehicles. If I see something that is good, I immediately wonder how I can make it exceptional. 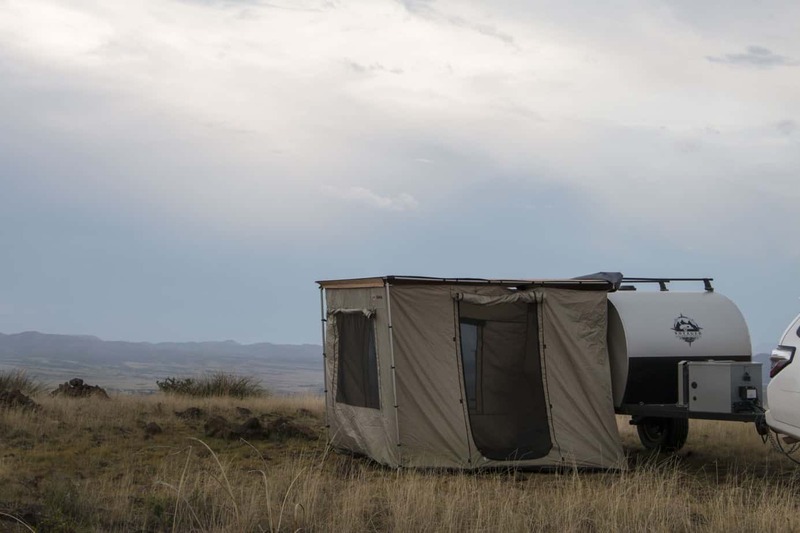 This continuous improvement process might well be the mantra for this teardrop. As those of you who read the original article will know, we had a great product to start with. It had smooth handling, a brand new stove, a well designed kitchen, and most importantly a great structure that would stand the test of time. For many people this would be more than enough, but trip after trip I would come back with a list of improvements until eventually I wound up with the versatile and capable piece of Americana you see below. 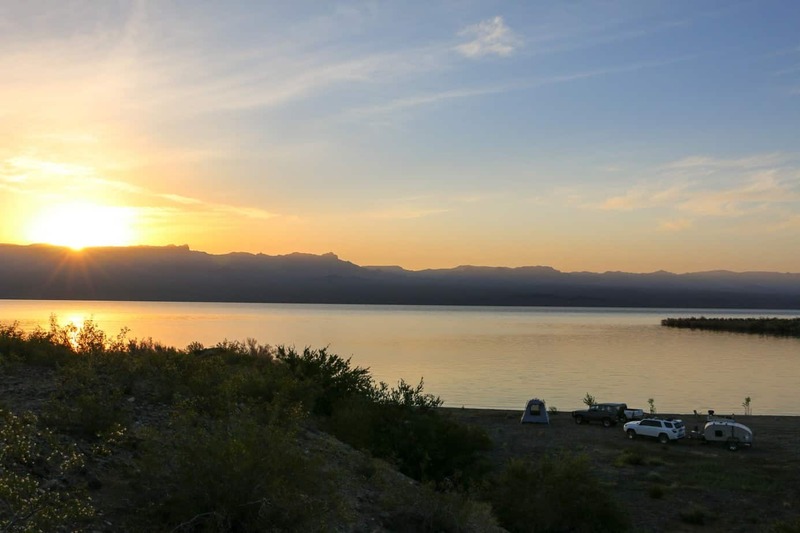 By the end of our first journey I had begun implementing a series of small changes aimed at making trailer more enjoyable and easier to live with. This began with swapping out the wheel on the tongue jack. 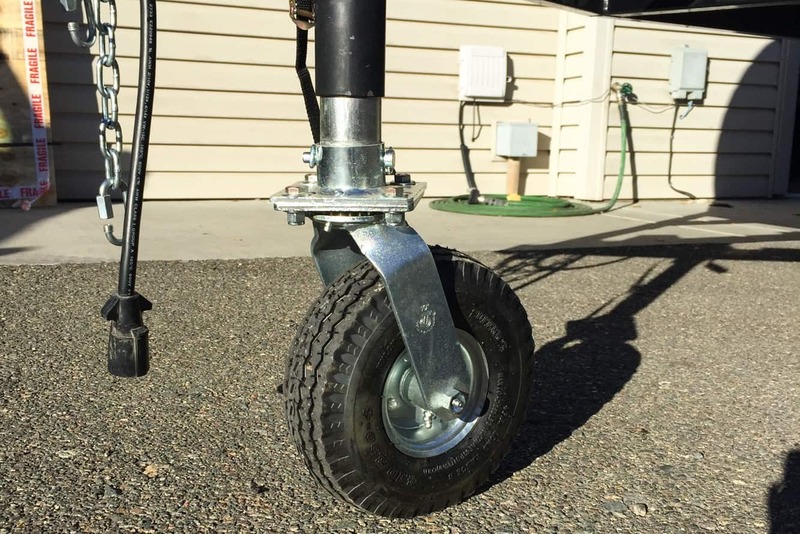 As anyone who has pushed one of these things around can tell you, plastic wheels are awful for maneuvering. We picked up a pneumatic rubber model from AT Overland, and spent the rest of the year and a half thanking ourselves for such a smart decision. Seriously, it might be the best investment you’ll ever make. Our next modification needed to address our ability to work from the road. 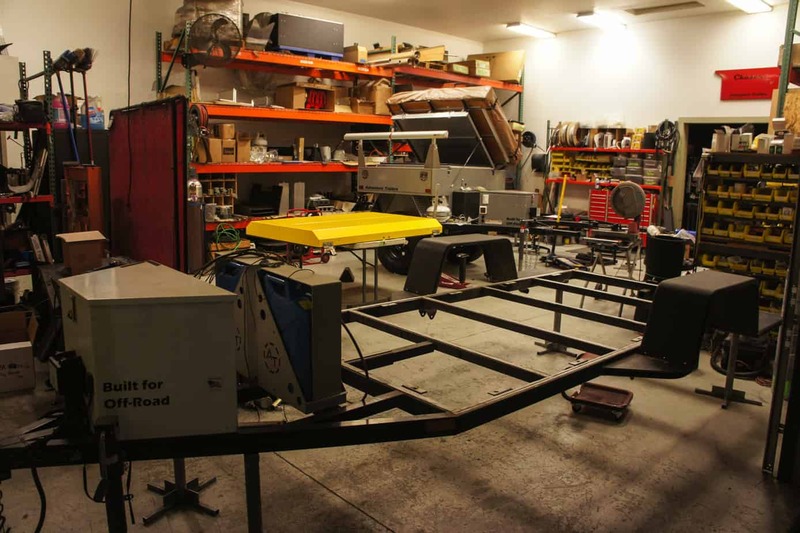 Since we would be depending on the trailer to run cameras, laptops, lights, and a fridge each day, the electrical system was due for an overhaul. 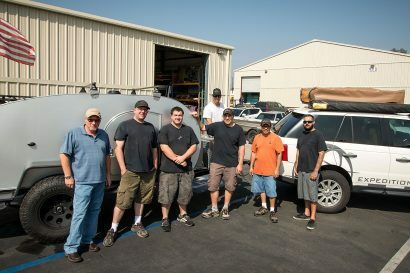 We started by relocating the battery from the tail of the trailer to the nose box in order to improve weight distribution for the soon to be installed fridge. We then replaced it with a brand new deep cycle marine battery for longer life and durability, and connected it to a National Luna monitoring system to keep us updated on its status throughout the journey. I found the alarm on this monitor to be particularly helpful, as it could be heard from outside the trailer and saved our battery more than once from being discharged thanks to a forgotten light in the cabin. Finally we moved to the charging system. 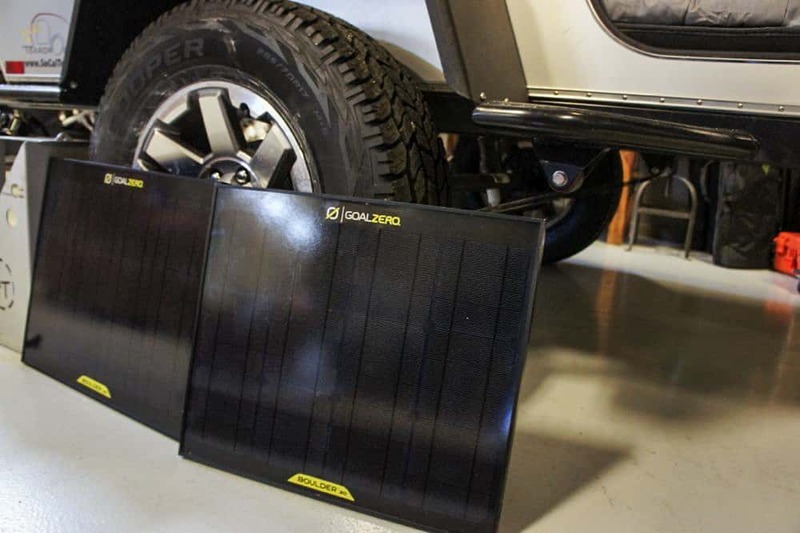 Although the trailer was already setup to receive power from the vehicle, we added two Goal Zero Boulder 30 panels to keep everything topped off during extended stays in once place. We found that these two hard panels could keep the fridge running indefinitely, while still allowing us to use the LED lights for meal prep and cleanup at night. 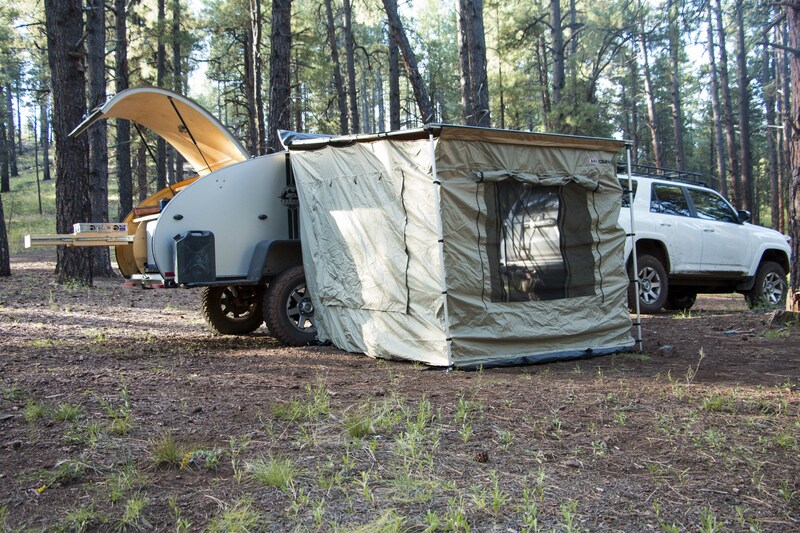 If you’re going to be living out of your vehicle, you really need to have a good kitchen that is easy to work from. I find that if it is difficult to cook from a trailer, we will usually end up eating out or snacking on unhealthy food to avoid the hassle. The first component of our easy setup is always a fridge, in this case an ARB 50 quart with plenty of room for meats, fruits, and vegetables. Now I know that we have reviewed ARB fridges before so I will skip over how great they perform, but I feel the need to reiterate my praise on one particular feature that should be in every brand sold, the drain. Due to the fact that our 50 quart is at the very back of the trailer, it tends to receive the brunt of any impact. On one particular occasion it was hard enough to shatter a jar of salsa in the fridge, and the ability to rinse it all out the drain was priceless. Trust me, spend an hour scooping salsa and glass from everything in your fridge and you will regret not having this feature. The second piece of our kitchen model is easy accessibility to dishes, pans, and spices. If they are hard to find or difficult to pull out, chances are they will be collecting dust in no time. 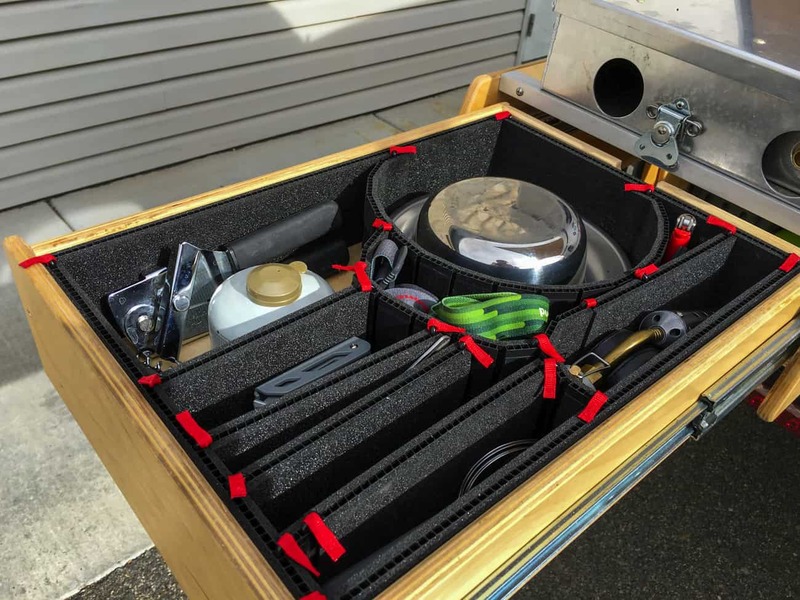 For this reason we lined our drawer with TrekPak camera organizers shaped to our plates, bowls, and silverware. Although pricey, their ability to be molded to your gear and keep everything isolated in its proper place makes it well worth the money. After serving numerous meals from the back of this trailer I have to say that it is definitely one of my favorite setups thus far. 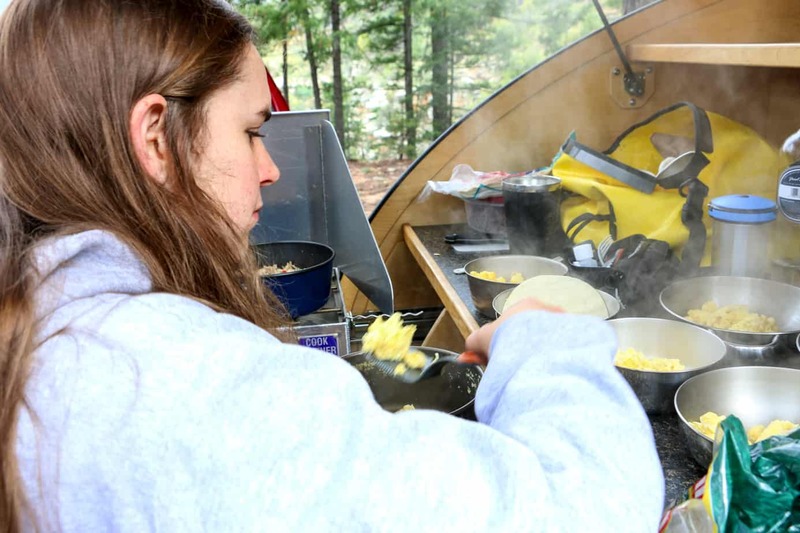 The Partner Steel stove produces a tremendous amount of heat while sipping propane, and there is enough counter space for the cook and their assistant to work happily together. 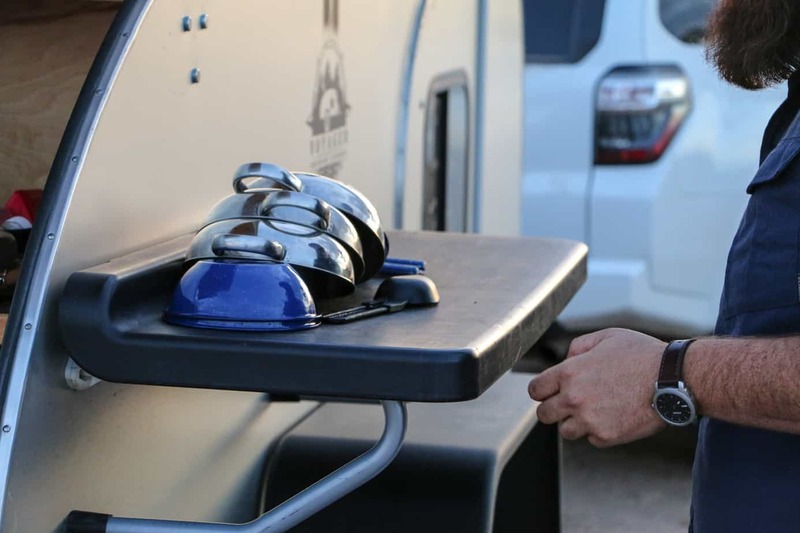 When preparing for a larger team, two latches detach the stove and allow you to cook on the fender while opening up the entire rear of the trailer for two other people. Still need more space? You can set a third person to chopping duty on the empty slide where the stove used to be. Have a fourth person who wants to wash dishes? No problem, just set up the Thule side table for drying and use the fender below it for dirty dishes. Our only gripe with the kitchen occurred after our switch to a new suspension, which you’ll read about below. Because the stove and prep surfaces sit higher than the fridge, they tend to be a little tall for anyone of shorter stature. My girlfriend for example needs to use our trusty Alu-Box as a step stool, otherwise the pots and pans end up around chest level. 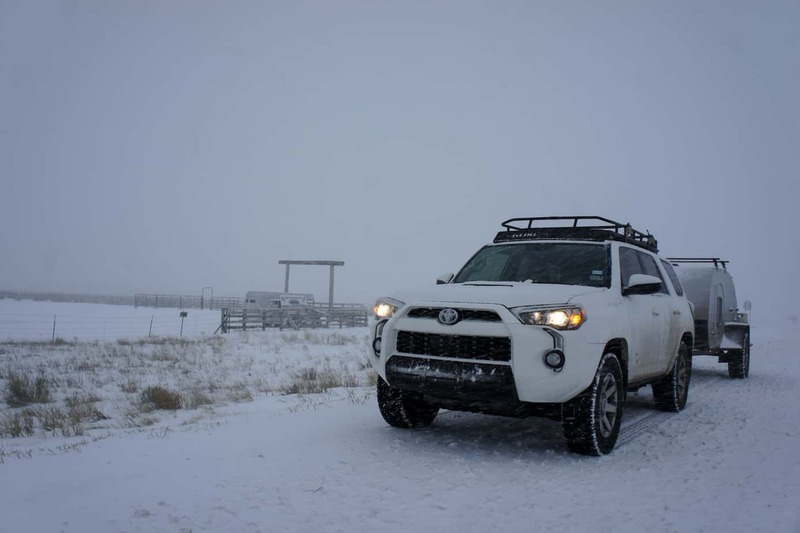 On our first long trip from Prescott Arizona to Dallas Texas, we ran into a slight problem during a snow storm; the suspension collapsed. It turns out that the previous owner had opted to install a softer and weaker spring set in lieu of the So-Cal Teardrops standard setup. 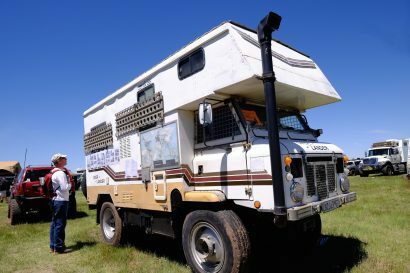 This of course explained the oddly-compliant handling during testing while empty, as well as the immediate sag after installing the fridge, battery system, and camping gear. Although it would have probably made more sense to just swap in a heavier spring from So-Cal, I took this as the perfect excuse to pick up my dream setup. Less than a month after failure the body was separated from the frame and work was under way. Several cross members had to be replaced and relocated to properly support the A-arms, and additional reinforcement was added per my request. Since the old internal wiring needed to be removed during welding, we went ahead and replaced it with an all new loom to match the battery setup we had already installed. Besides the improvement in performance, which we will cover later in this article, the TAAS system provided us with two big advantages. First, we gained several inches of height improving our ground clearance over rocks and water. 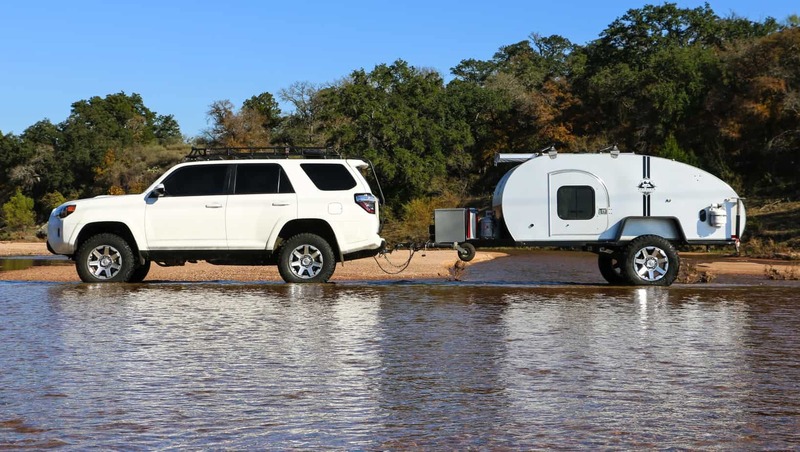 Usually I wouldn’t even mention fording depth on a trailer, but remember that a teardrop is made of wood so, if water leaks into the cabin it’s going to cost you a pretty penny to repair it. Second, we could now adjust the suspension to match our load instead of the other way around. Few people think about what their springs are designed for versus what they are carrying, and an improperly matched combination can lead to a very harsh ride, or as we experienced a total collapse. 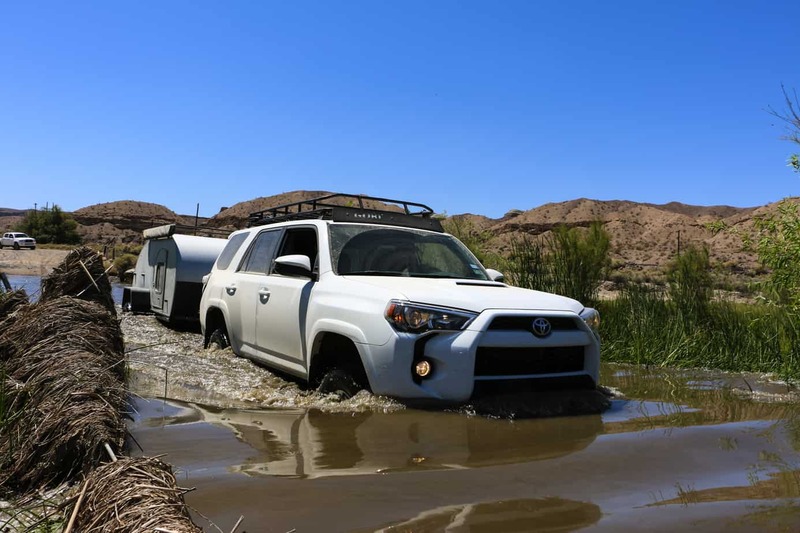 With the independent airbags we were able to dial in the perfect ride height for each side, as well as adjust the Rancho shocks on the fly to different terrain types and diminishing loads as we drank water and ate food. 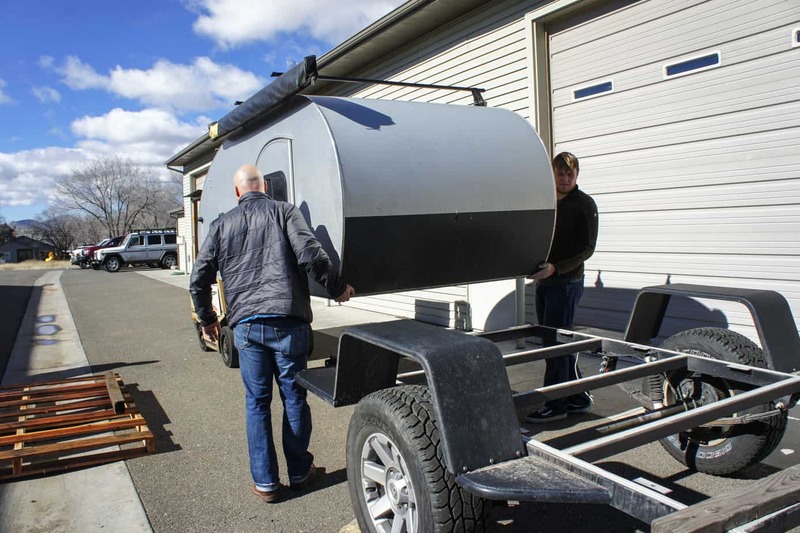 There are a lot of benefits to having a teardrop trailer, but it also has some limitations. 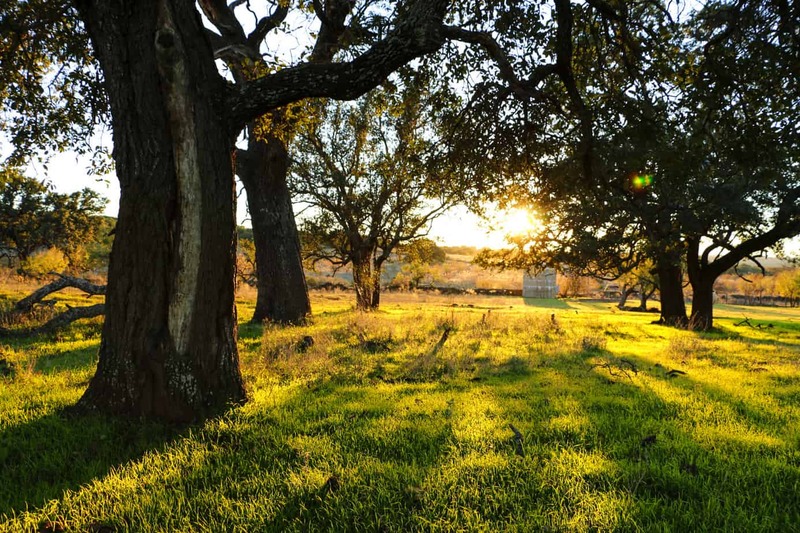 One of the biggest downfalls we found was its lack of living space. 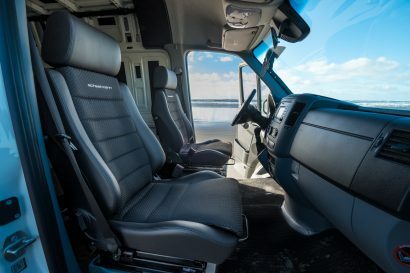 Don’t get me wrong, it is very roomy, but at the end of the day the interior is just a bed and nothing more. 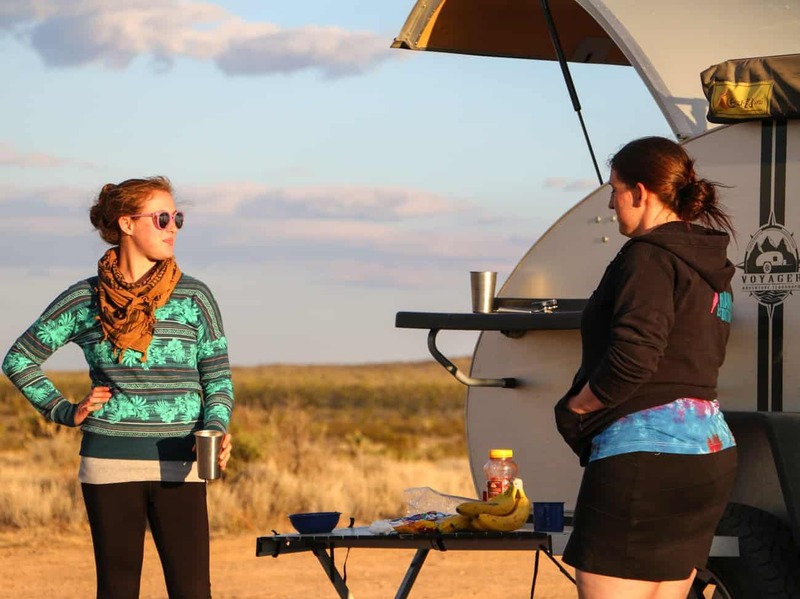 Being stuck inside during bad weather is all well and good when you have your significant other to snuggle up to, but chances are your camping buddy from college won’t appreciate the same gesture. 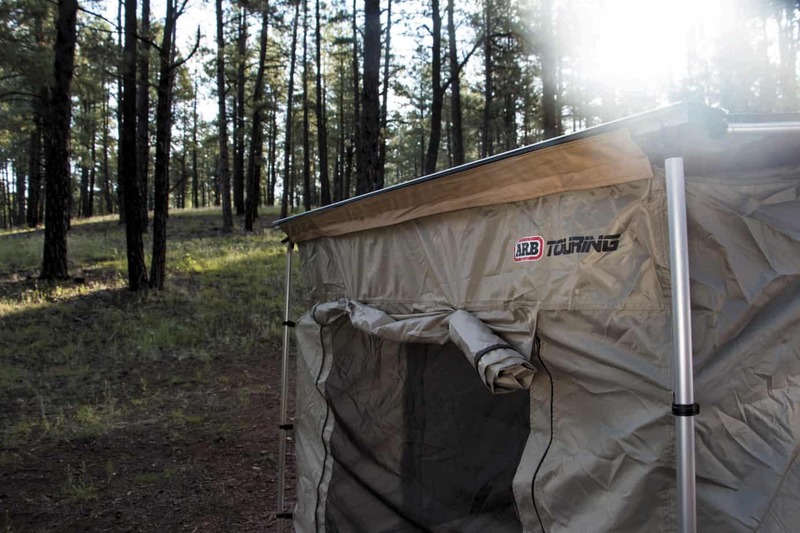 To solve this issue, we called up ARB and placed an order for their 2000 series awning and attachable room. It not only provided us with an escape from weather and bugs, but gave us the perfect shelter for working on our computers and off-loading photos from our cameras. As a secondary bonus, the awning room doubled as a guest house on long trips, allowing family and friends to throw cots out and tag along. 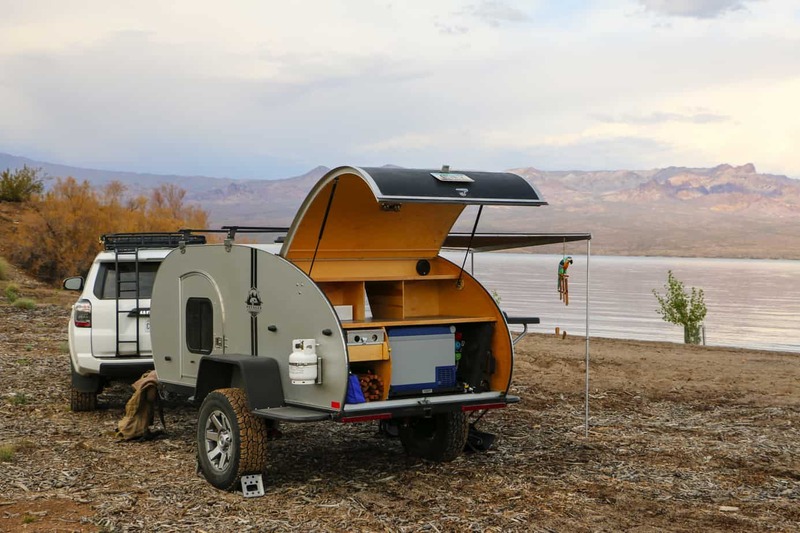 Another problem with the teardrop is the lack of “dirty” storage. This is for items like wood, muddy boots, and things you generally don’t want to throw on your bed. I loved the cage setup seen on some of the new So-Cal units, however I often find myself with odd shaped cargo and I didn’t want to be limited by the height of the lid. The solution was to run a bed-lined metal grate across the floor of the tongue with aircraft track tie-downs for securing the load. 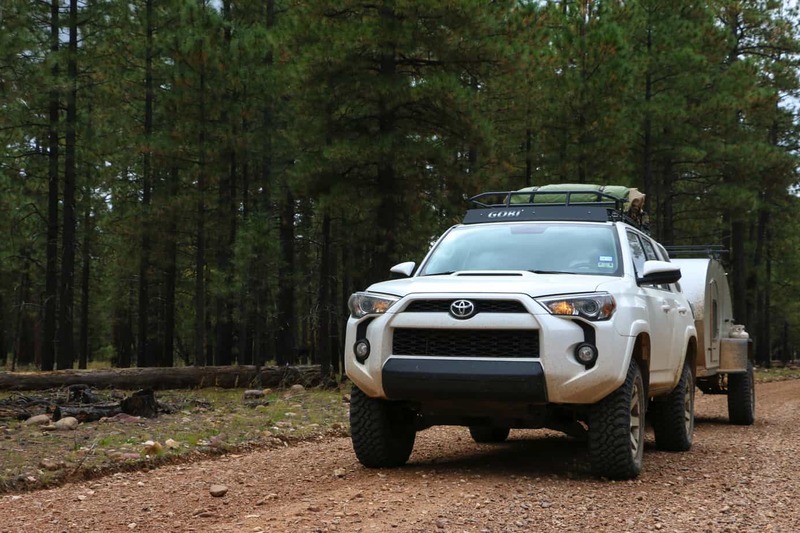 This versatile method allowed us to carry everything from logs to mountain bikes without an issue. The last upgrade was a Propex HS2000, a wonderful investment we purchased after a west Texas storm turned our little trailer into an igloo covered in a half inch of ice. I’ll start by saying these things aren’t cheap, but they do add a level of comfort and luxury that is hard to match. This is especially true on the teardrop platform, which is already well insulated making it ideal for retaining heat. We found that just five minutes of running our Propex on low would bring the interior temperatures up to a toasty level, and when things eventually started to cool, the automatic thermometer would kick the flame back on to keep things comfortable. The 510XS is a big trailer without a doubt, but it handles itself remarkably well in the back country. 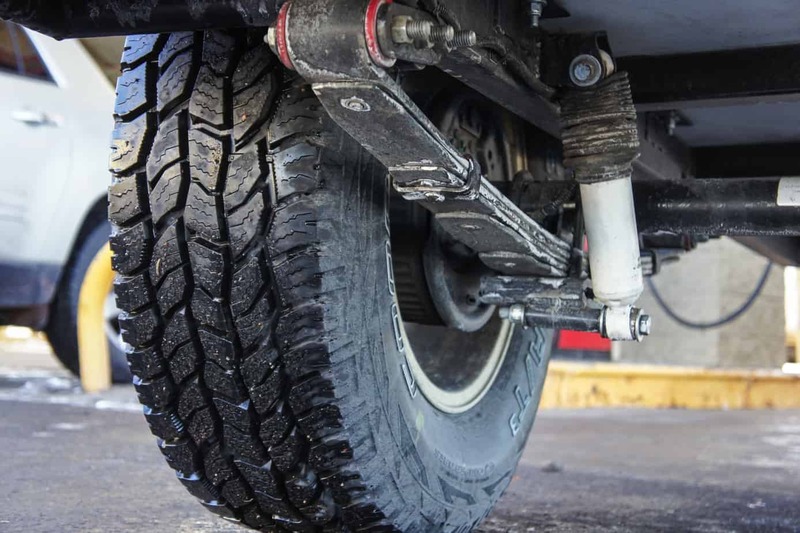 With the new suspension it will cruise down dirt roads at up to 50 mph without stepping out, and most ruts and dips are absorbed into the Rancho 9000’s without protest. Performance on washboards was especially good with no signs of instability or swaying like you would see on stiff torsion axle trailers. In fact, after a year of use I have to say that the TAAS system is darn near perfect, but we did find one drawback in a rather unexpected way. 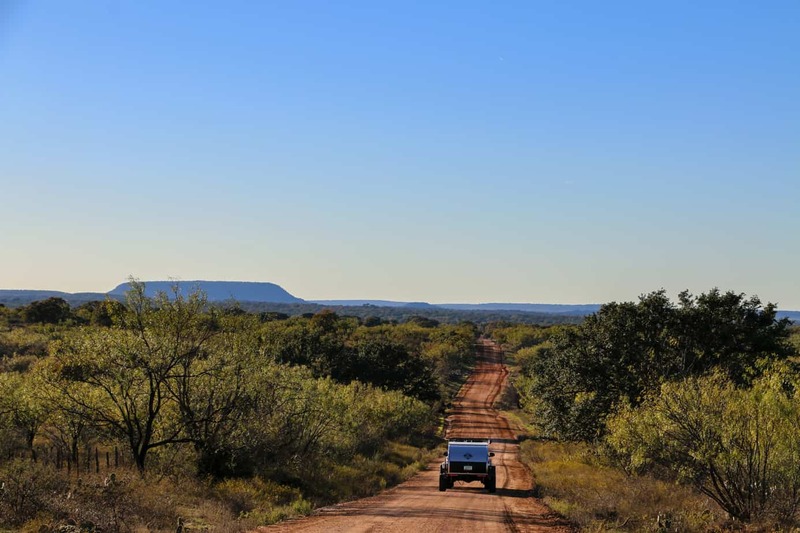 Last October we took the AT Overland Flatbed Chaser out for a spin. Given that it had an identical suspension to the one on our 510XS, I had expected an equivalent ride with a little less stability due to width. What I found though was an astonishingly well mannered trailer that to my amazement had even better handling than our teardrop. The difference between the two was weight. 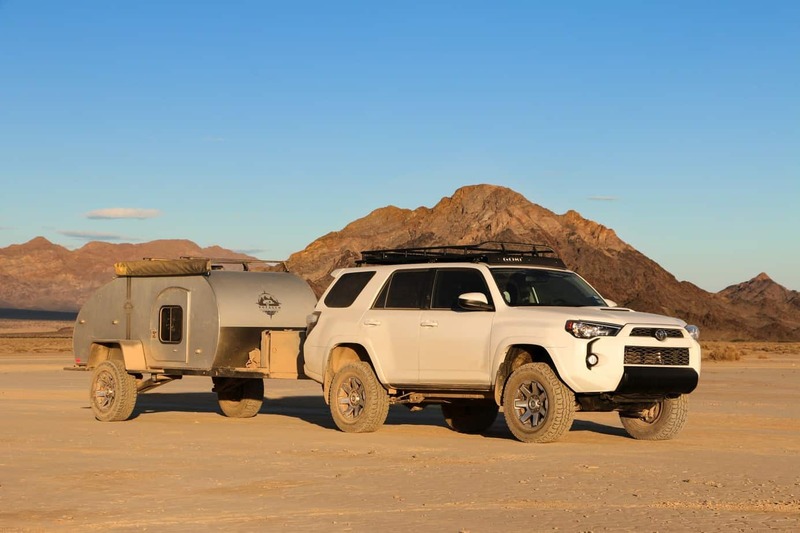 While both were adjusted to the same ride height allowing for the same amount of suspension travel, the much higher pressure used to achieve that height on the teardrop lead to a firmer ride. This isn’t to say the TAAS system is harsh though, simply that a reduction in weight makes it even better. Although it may require you to be more careful, the 510 can still tackle the technical stuff when you need it to. 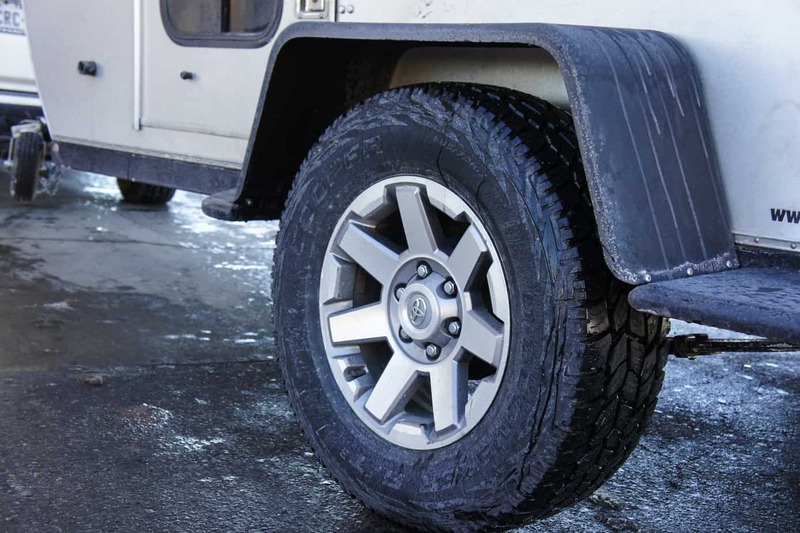 The additional width gave it better stability than its smaller counterparts, and it provides the driver with a direct view of the wheels in the mirrors, making it easy to thread the needle in tight situations. 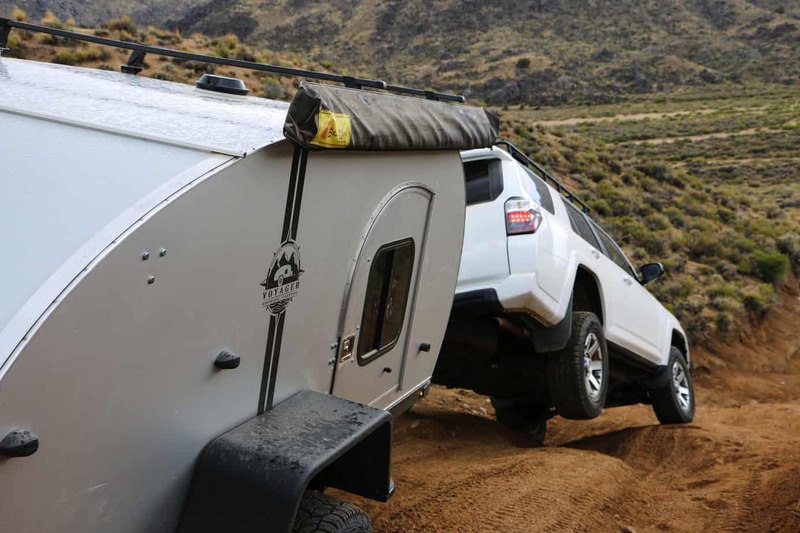 Despite the disadvantages of a long tongue, the trailer’s ample clearance allowed it to skirt by boulders and ledges without issue. 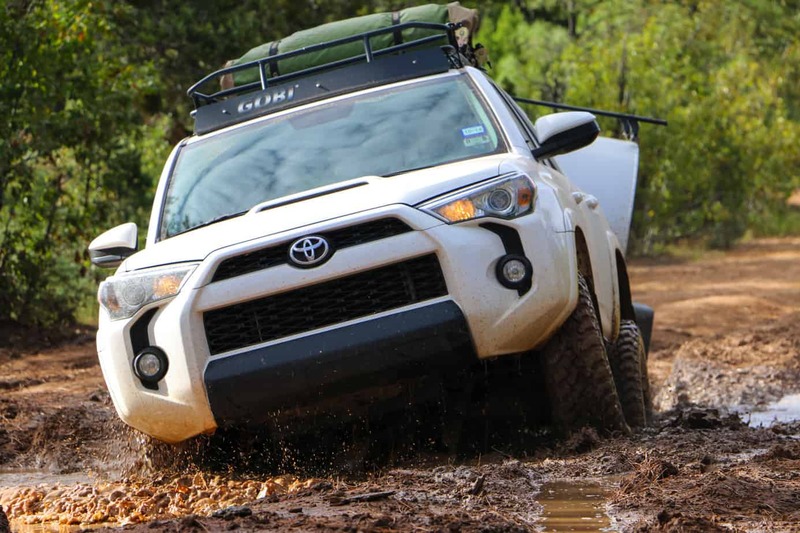 The electric brakes were strong enough to support the teardrop and 4Runner on a hill, and they repeatedly prevented the vehicle from being pushed forwards on obstacles. 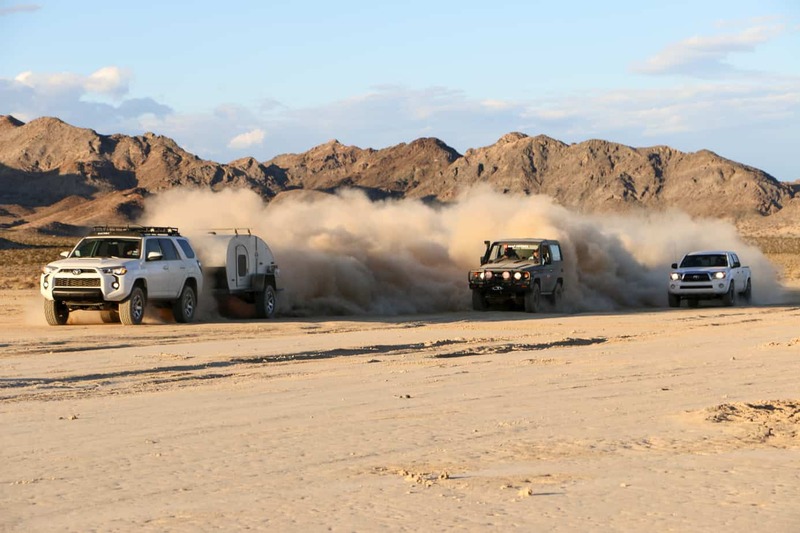 Overall the performance in mud and sand was satisfactory, however the extra drag caused by the wider track-width became a problem in very soft dunes. 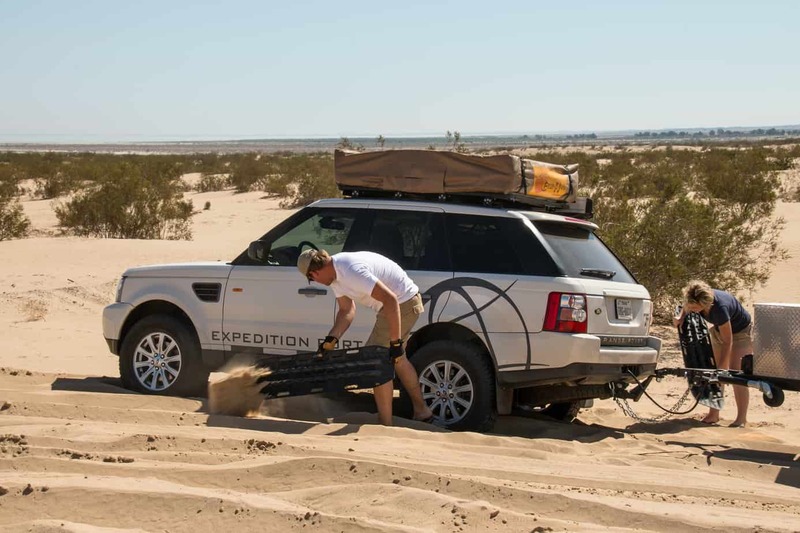 As you can see in the above picture, our Range Rover Sport became stuck near the Salton Sea after being dragged down by the teardrop behind it. 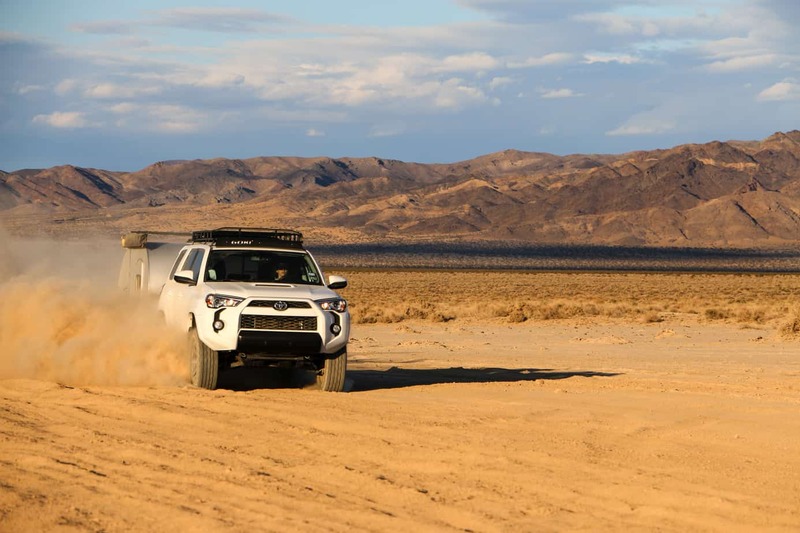 Reducing the PSI in both the tow vehicle and trailer mitigated this issue, however it still decreases the fuel economy on long sandy tracks. The only real performance hurdles we ran into were due to the trailers width. Like many large vehicles, the 510XS is most at home on forest roads and two-tracks with plenty of room to maneuver. On narrow trails that were otherwise smooth, we found that it required us to slow down as the tires caught rocks near the edge of road forcing it to bounce. We also had issues on very narrow ledges and tight switch backs. Negotiating a mountain road with any trailer can be difficult, but the combination of this model’s length, width, and aft axle placement made it especially prone to cutting corners and pivoting as opposed to following the vehicle. Even so, we regularly ventured far from the beaten path and were only forced to turn back once in two years of adventures. The 510XS isn’t for everyone. 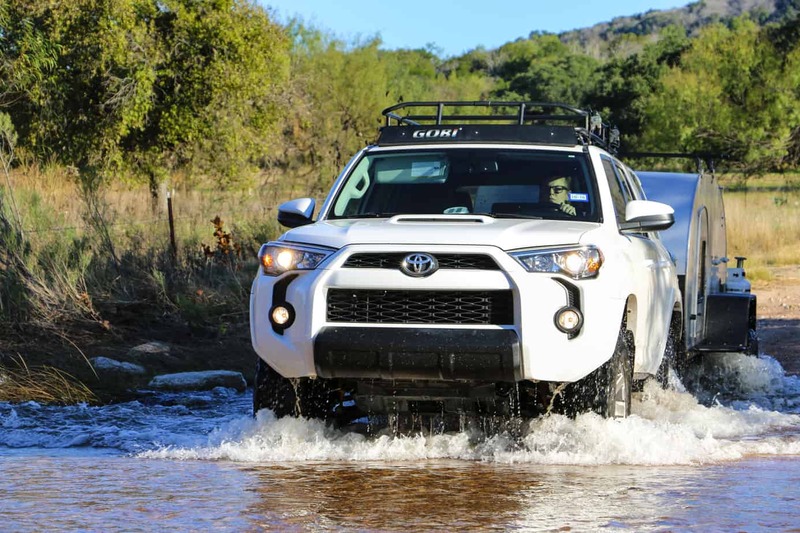 While it is well suited to four-wheel drive touring over long distances in the back country, those who find excitement on technical trails and difficult terrain will certainly be disappointed. 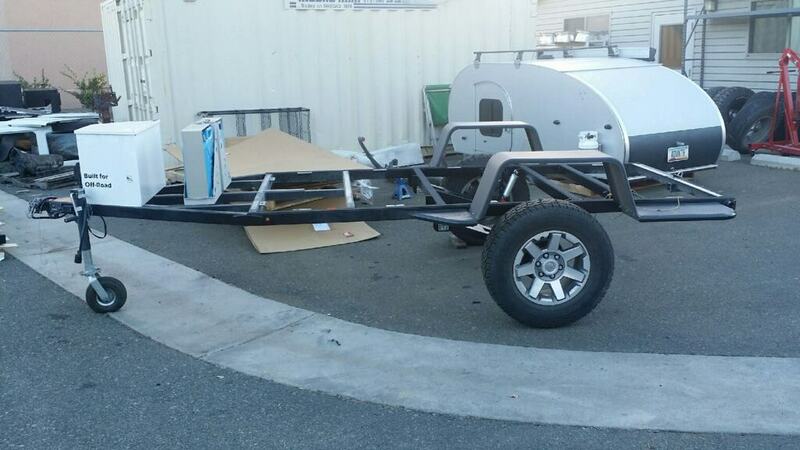 For them, a smaller and lighter trailer will best fit their needs. 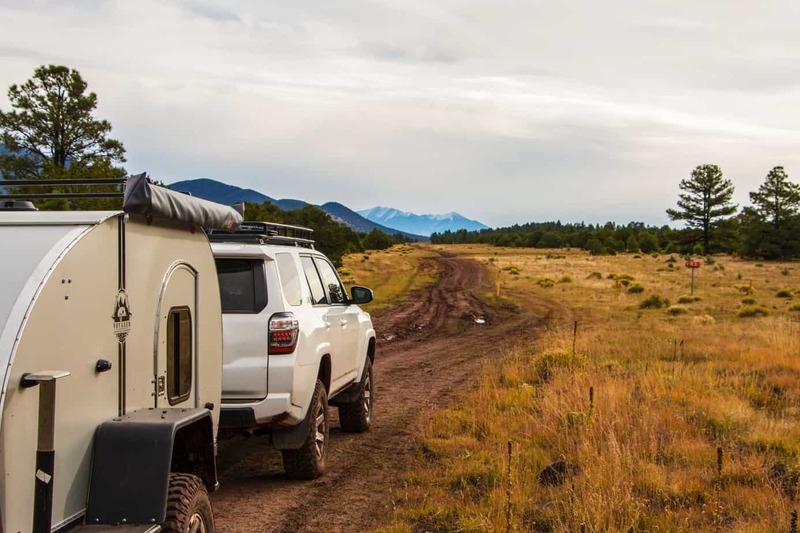 However, if your idea of adventure is a two track stretching as far as the eye can see, a secluded beach somewhere on a remote shore, or hopping from town to town on dusty forest roads, you will find this teardrop to be everything you were looking for and so much more. 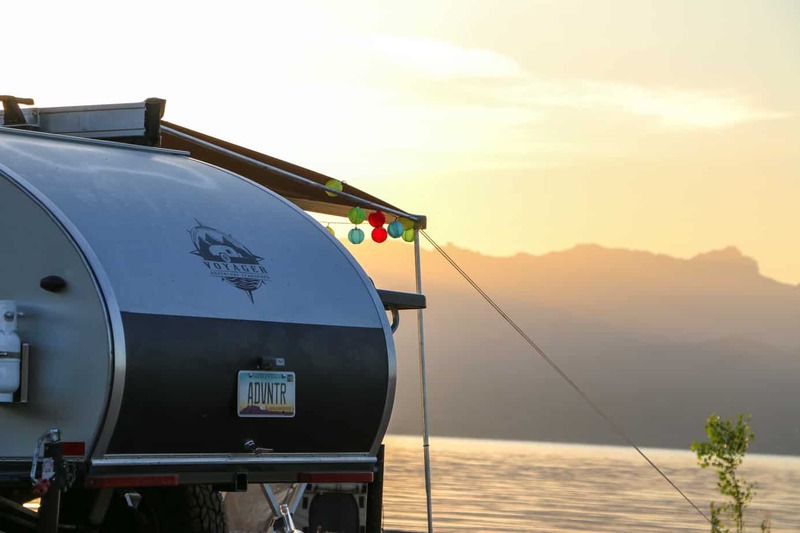 For us this trailer inspired a different form of travel, one that focused on the journey and not the every day tasks. 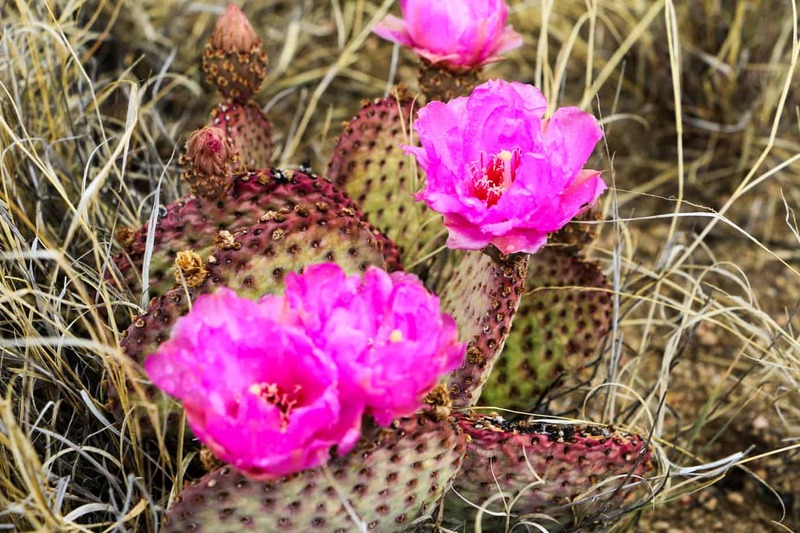 Instead of worrying about the weather at our destination we searched for cool things in the area we hadn’t seen. 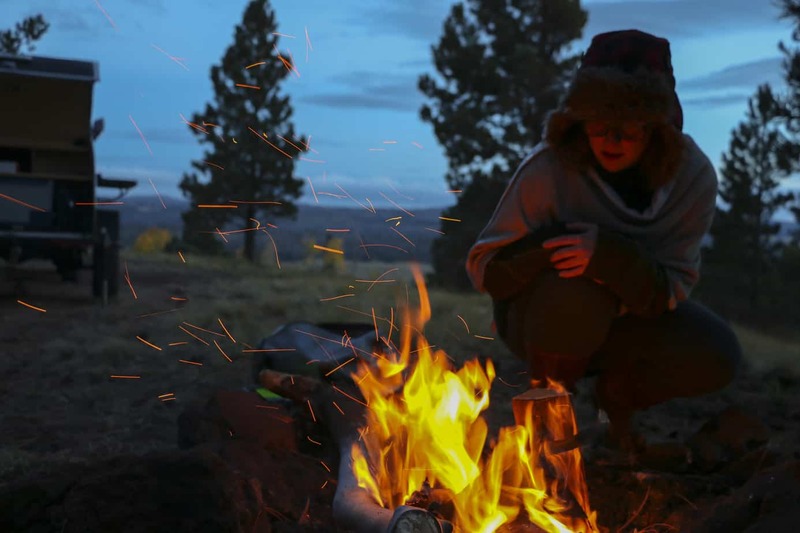 In the time we formerly spent setting up camp, we could now take a walk through a canyon or relax and watch the sunset. Even the slower pace we were forced to take with the trailer ended up being a good thing. We found ourselves less concerned with our time on the trail and more interested in enjoying the scenery surrounding us. For the first time we were taking the chance to absorb the small things. We stopped for flowers blooming on the side of the road, watched horses deep in the woods, and walked through the greenest fields I have ever seen. 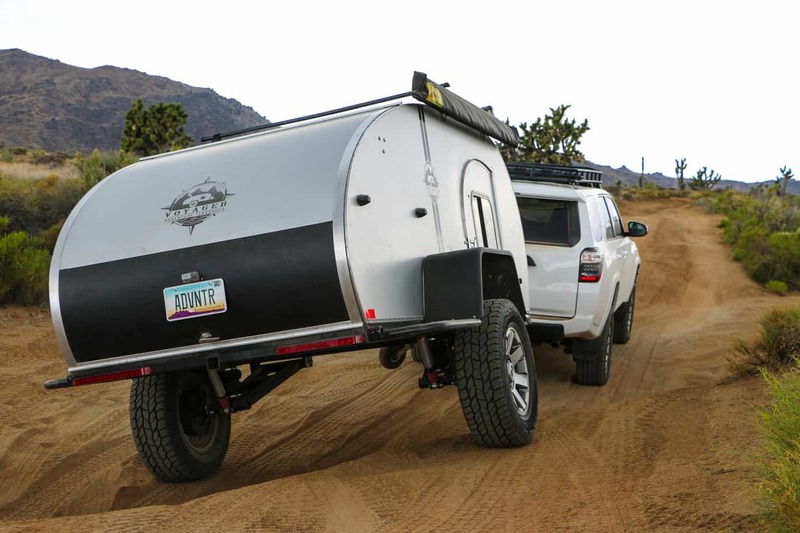 If you’re looking for more than just your everyday off-road trailer, I encourage you to consider So-Cal Teardrops. If you do, I think you’ll find that home is truly where you park it. A big thank you to all the folks who made this build possible. To find out more about them and their products, check out their websites below.